In this enlightening introduction to the history and culture of the Apache people, including a pictorial essay on the girl's coming of age ceremony, the Wilson family share their music, stories, skills and life experience to reveal what it has meant to "grow up Apache" in this century. Great-great grandson of the Chiricahua Apache Chief Cochise and the White Mountain Apache Chief Hashkedasila (Chief Diablo), and related to Geronimo, Chesley Goseyun Wilson was born on the San Carlos Apache Reservation, and raised in traditional ways. He has devoted much of his life to the preservation and promotion of Apache culture. 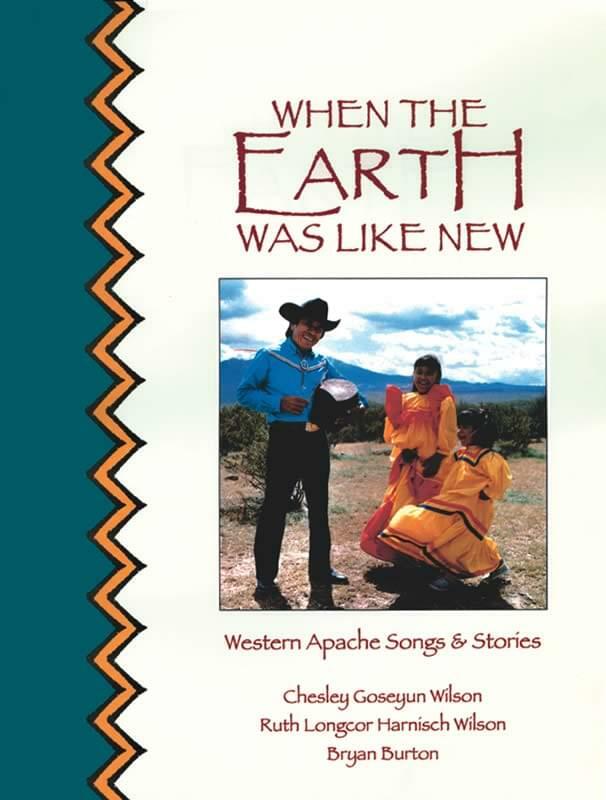 Chesley gives us a rare glimpse into the life ways of the Apache people, from the loving welcome given to a newborn baby, to the challenging transformation to womanhood experienced by an Apache girl during her important Nai'es coming of age ceremony. His songs are the songs of a vibrant culture ancient and also very contemporary. His words and voice are imbued with love for his heritage and especially for the young people who might be inspired to rededicate their lives to the ways of their grandparents. This is Chesley Goseyun Wilson's precious gift, offered to all who seek knowledge and understanding of the Apache Way. Every selection and more, including songs and Apache violin pieces performed by Chesley Goseyun Wilson.